Do you want to prove to your friends that you can do brunch better? Are you ready for them to bow down at your culinary feet? 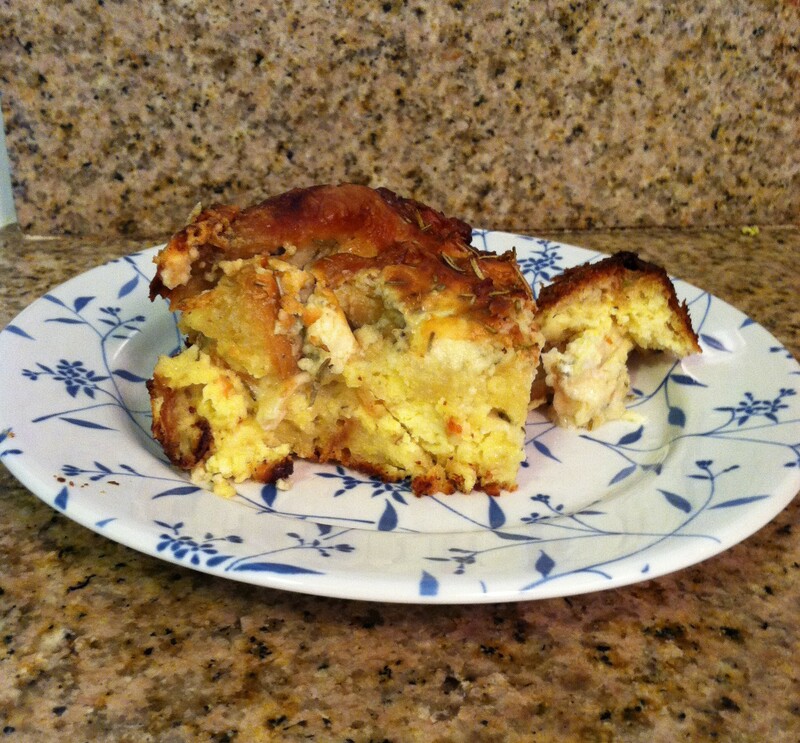 This strata is the breakfast dish to end all breakfast dishes. 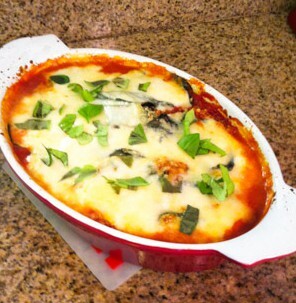 Lots of cheese, bacon and bread baked in creamy eggs. Yeah. Eat up suckers (your friends are the suckers here, not you. You made this masterpiece.). My mom introduced me to this delicious strata one fateful winter morning, and it has been a special family treat ever since. Now I’m sharing it with all of you because I’m just that generous. Remember those Rosemary Buttermilk Biscuits? Well, unsurprisingly, they make delicious breakfast sandwiches. 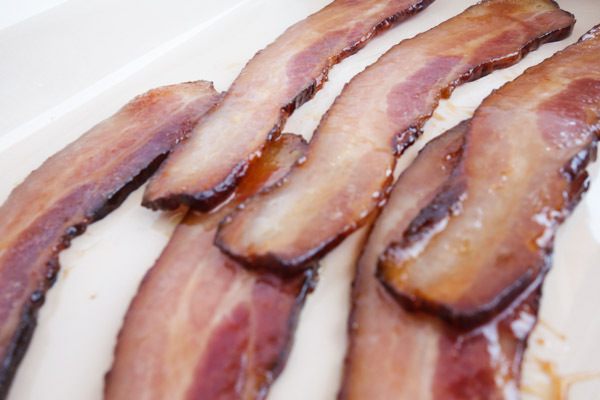 How does maple glazed bacon sound to you? Yeah, it sounded good to me too. So I put it on a sandwich. Once you have the biscuits, this sandwich is really quick to make and so, so good. Breakfast is the most important meal of the day after all. This is my first time cooking with eggplant. It was surprisingly easy and super delicious, who knew right? In fact, this was my first time even eating eggplant, and lightly battered and covered in sauce and cheese is the right way to eat just about anything for the first time. Every time I see an eggplant recipe, I’m always reminded of the “Friends” episode where Monica accidentally accepts a kickback of steaks and an eggplant and then gets fired. It gave me a strange aversion to my new purple friend. This recipe is fairly easy, and if you’re cooking for yourself or only a few people, it freezes quite well. After this, I’m totally on the eggplant band wagon (wait, it that a thing?). I am so excited it is football season. Since I have NFL Sunday Ticket, I get to watch the Vikings play all the way from the West Coast! Football games are a great excuse for me to make appetizers and I’m taking full advantage. These coconut crusted chicken tenders will make you want to watch all of the games just to have an excuse to eat them. The good news is that you do not even need an excuse because they are baked healthy goodness. They are crispy and all-around amazing. My boyfriend says I get a little dramatic about food sometimes. I don’t know what he means. 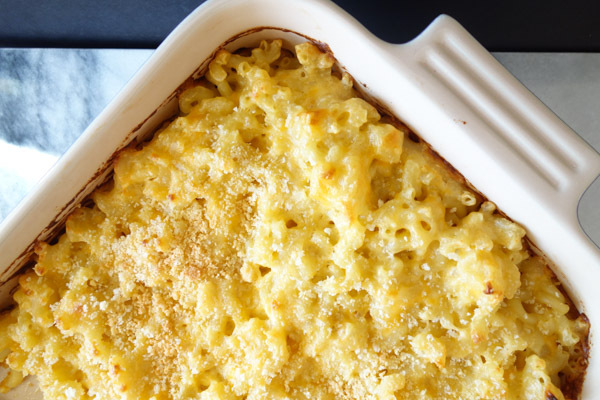 There’s nothing that beats homemade mac and cheese. If you have never made it before, once you do you will never be able to go back to the boxed kind. I’m telling you, THIS is the cheesiest. My mom makes fantastic homemade mac and cheese. Of course she does not use a recipe. Of course I compare everyone else’s to hers. A couple of years ago we were making mac and cheese for Thanksgiving and I asked if I added enough cheese. Her response? “You can never have too much cheese.” So true. 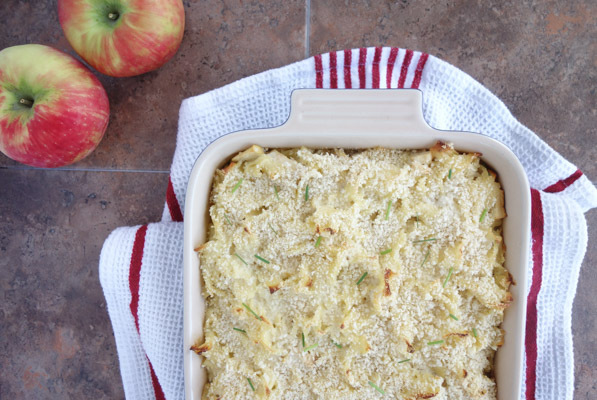 I’ve really abided by that for this baked mac and cheese recipe. Minnesota is close enough to Wisconsin that I think I inherited a love for cheese from them. Sweet potato pie is like the overlooked middle child in the world of fall desserts. It is not overly sweet and has the nutritional value from the sweet potatoes, yet pumpkin and apple pie get all the love. Well, I haven’t forgotten about sweet potato pie and you shouldn’t either! I could probably eat one of these myself they’re so good. Relax, I said could. My mom made these all the time growing up with a recipe she learned from her mom, who learned the recipe from her mom (you following? That’s coming from my great-grandmother). Of course, the grandmothers didn’t use a “recipe” per se because they did not use measurements. Lucky for you, I recreated it with more specific instructions than “a scoop of sugar” and “a few dashes of cinnamon.” Pick up some sweet potatoes and let’s get baking!